Some people love bananas, some don’t. Despite your feelings towards bananas, we use our MCAT Skills to break down our passage and increase your score! We’re joined by Jack from Jack Westin as we talk about bananas. 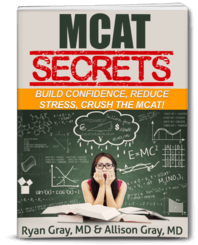 If you want some help with your MCAT CARS practice, check out Jack Westin and their CARS Strategy Course. They offer free sessions all the time. If you’re ready to sign up, go to medicalschoolhq.net/jackwestin to activate a $100-off coupon you can use for your course. 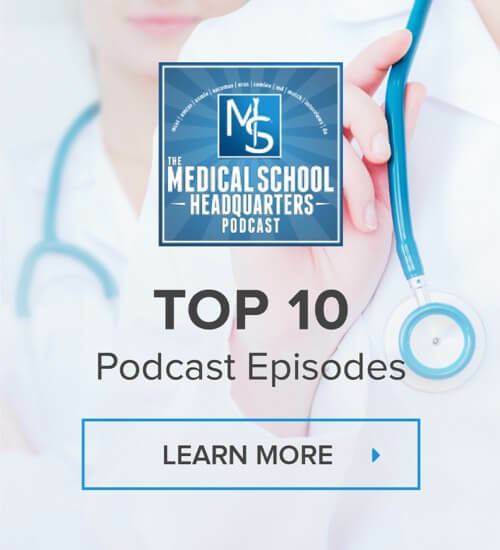 For more resources, be sure to check out all our other podcasts on the MedEd Media Network. “During the summer of 1989, Randy Ploetz was in his laboratory just south of Miami, when he received a package from Taiwan. Ploetz, who had earned his doctorate in plant pathology five years earlier, was collecting banana diseases and regularly received mysterious packages containing pathogens pulled out of the soil from far-flung plantations. But gazing down his microscope, Ploetz realised this Taiwanese pathogen was unlike any banana disease he’d encountered before, so he sent the sample for genetic testing. It was Tropical Race 4 (TR4) – a strain of the fungus Fusarium oxysporum cubense that lives in the soil, is impervious to pesticides, and kills banana plants by choking them of water and nutrients. It was a pathogen that would go on to consume the next three decades of his professional life. TR4 only affects a particular type of banana called the Cavendish. There are more than 1,000 banana varieties in the world, but the Cavendish, named after a British nobleman who grew the exotic fruit in his greenhouses on the edge of the Peak District, makes up almost the entire export market. The Brazilian apple banana, for example, is small and tart with firm flesh, while the stubby Pisang Awak, a staple in Malaysia, is much sweeter than the Cavendish. But no banana has become as ubiquitous as the Cavendish, which accounts for 47 per cent of all global production of the fruit. According to the Food and Agriculture Organisation of the United Nations, this amounts to 50 million tonnes of Cavendish bananas every year – 99 per cent of all global banana exports. The UK, which imports five billion bananas every year, has become used to this seemingly endless supply of cheap and nutritious fruits shipped from plantations thousands of kilometres away across the Atlantic. But the high-volume, low-margin banana industry has been balancing on a knife edge for decades. “It looks very stable because we’re getting bananas, but the environmental and social costs that allow that to happen have been high,” says Dan Bebber, a researcher at the University of Exeter who works on a UK government-funded project aimed at securing the future of the banana. If one part of this tightly-wound supply chain snaps, the whole export industry could come tumbling down. Despite its ubiquity, the Cavendish is something of a genetic outlier among crops: because it has three copies of each chromosome, it is sterile and can only reproduce by creating clones of itself. This makes the Cavendish an ideal crop to grow at scale – farmers know how a plantation of Cavendish bananas will respond to pesticides, how fast its fruit will ripen, how many bananas each plant will yield. “You know what’s going to happen to a Cavendish banana when you pick it,” says Bebber. “When you put it in a refrigerated container, you know exactly what’s going to come out of the other end most of the time.” Cavendish plants are short, so they don’t blow over easily in a hurricane, are easy to spray with pesticides, and reliably produce lots of bananas. During the summer of 1989, Randy Ploetz was in his laboratory just south of Miami, when he received a package from Taiwan. We’re given a time, name, and location and a package from Taiwan. So it’s setting up the scene here which is very descriptive. Imagine someone sending a package from Taiwan to Miami. This allows you to understand the context better when you keep reading. But if you overlook this sentence, it may make the other sentences a lot more difficult to read. Getting better at timing comes down to understanding the context. You can read this passage very quickly but how much of it can you actually pick up? Hence, read it for the context and understand what’s going on. Not only will you understand what you’re reading but you will finish the passage faster because you understand the context that’s going to come up in the next sentence and the sentence after it. Invest your time early on and try to understand the details now so that when they start talking about things that are a lot harder to understand, you already have established the context and what’s being discussed. Ploetz, who had earned his doctorate in plant pathology five years earlier, was collecting banana diseases and regularly received mysterious packages containing pathogens pulled out of the soil from far-flung plantations. Randy is a doctor in plant pathology and is getting packages of pathogens for banana diseases. But gazing down his microscope, Ploetz realised this Taiwanese pathogen was unlike any banana disease he’d encountered before, so he sent the sample for genetic testing. There’s something different about this one. It was Tropical Race 4 (TR4) – a strain of the fungus Fusarium oxysporum cubense that lives in the soil, is impervious to pesticides, and kills banana plants by choking them of water and nutrients. So they give us the name of this new thing that he hasn’t seen before and what it does. It was a pathogen that would go on to consume the next three decades of his professional life. This is more descriptive so you just have to understand the scene. This is not too difficult but it’s different than other passages that have a lot of different arguments and ideas. So just go with the flow here. Just pick up and use anything you can understand and try to understand the next paragraph based off of it. Structure is very important here. Make sure you keep track of what and why they’re discussing it. TR4 only affects a particular type of banana called the Cavendish. They’re giving us more context about this pathogen and how it only affects one type of banana. There are more than 1,000 banana varieties in the world, but the Cavendish, named after a British nobleman who grew the exotic fruit in his greenhouses on the edge of the Peak District, makes up almost the entire export market. There are lots of bananas but this variety makes up most of the export market. The Brazilian apple banana, for example, is small and tart with firm flesh, while the stubby Pisang Awak, a staple in Malaysia, is much sweeter than the Cavendish. The author is giving different varieties here. But no banana has become as ubiquitous as the Cavendish, which accounts for 47 per cent of all global production of the fruit. The author is giving another information about how important this type of banana is. According to the Food and Agriculture Organisation of the United Nations, this amounts to 50 million tonnes of Cavendish bananas every year – 99 per cent of all global banana exports. Here, the author is setting up how important this one pathogen or fungus is that affects the banana. Understand the flow of the passage as this is important. In the first paragraph, we discussed pathogens. And here on the second paragraph, we’re discussing the actual fruit or banana involved here, which in this case is one particular strain of the banana. The UK, which imports five billion bananas every year, has become used to this seemingly endless supply of cheap and nutritious fruits shipped from plantations thousands of kilometers away across the Atlantic. This is a UK article so they’re talking about the UK here and how they’re shipping in a ton of bananas and how they’ve gotten used to how readily available and nutritious they are. But the high-volume, low-margin banana industry has been balancing on a knife edge for decades. “Balancing on a knife edge” is not easy to understand which gives off the idea that maybe we’re going into a problem because of that contrast word “but.” It probably tells us that we’re shifting the direction of our discussion. In the first sentence, we’re discussing how it’s cheap and nutritious and being sent from far away. But now, they’re talking about potential issues. And if they really care about the issues or the problems the bananas can face, they’ll keep talking about it in the next sentence and the sentence after. This is typically how these passages work. “It looks very stable because we’re getting bananas, but the environmental and social costs that allow that to happen have been high,” says Dan Bebber, a researcher at the University of Exeter who works on a UK government-funded project aimed at securing the future of the banana. We’re now being introduced to a researcher who works on making sure that bananas are available in the future saying this could be an issue based on the environment and social cause. This refers back to the idea of balancing on a knife-edge. You don’t need to know what a knife edge is but you should be noticing this going into a direction of negativity. If one part of this tightly-wound supply chain snaps, the whole export industry could come tumbling down. There are a lot of moving parts here. Again, you don’t know what “balancing on a knife edge” means as this is literally what the last sentence of the paragraph is saying. It’s defining it for you. But for most students, they could take the first sentence and read it over and over again, hoping that something will click and that causes them to panic and lose confidence. As a result, they lose focus on the rest of the passage. You should notice that there’s something new coming on, but if you don’t understand it completely, finish the paragraph. Maybe the next sentence or the next one after that would explain it in an easy way you understand. This is a puzzle and it’s you trying to figure out the problem as if it’s a puzzle. Just like a physician, when a patient comes into the office, they don’t exactly know which is wrong with them right there and then. But they’re asking questions and fishing for information that can allow them to understand the bigger picture. The key here is to not give up. To go further with this analogy, a student will pick up that puzzle piece and will try to jam it in your plate that doesn’t need to go there. Bottom line – just keep reading. Put down that puzzle piece and move on to the next sentence. The paragraph is talking about the banana further but not bracing concerns about that banana. So we can only imagine where this is headed. Where could this go? Maybe back to how pathogens can affect this banana because it’s not so stable. And if it’s not stable and something goes wrong, there goes your bananas. Anticipating something that you’re about to read will make it a lot easier to read. Despite its ubiquity, the Cavendish is something of a genetic outlier among crops: because it has three copies of each chromosome, it is sterile and can only reproduce by creating clones of itself. Students might freak out here thinking they need to know about genetics. You don’t need to. Just go with it. It’s an outlier and that’s the key here. There’s a genetic outlier. You don’t need to know why exactly. Sure, it has something to do with chromosomes. But you know enough. Just go with what you know and that’s enough. This makes the Cavendish an ideal crop to grow at scale – farmers know how a plantation of Cavendish bananas will respond to pesticides, how fast its fruit will ripen, how many bananas each plant will yield. Because of its genetic outlier status that it’s an ideal crop and farmers like it because they know a lot about what will happen. “You know what’s going to happen to a Cavendish banana when you pick it,” says Bebber. This is another quote giving us some expertise information. The author is saying it’s a good dish and good fruit. Cavendish plants are short, so they don’t blow over easily in a hurricane, are easy to spray with pesticides, and reliably produce lots of bananas. They’re just talking about the reliability of banana plants here. But maybe that reliability is a “liability.” And so the reliability may be the problem as it’s too consistent or similar that could be causing issues. And with genetics which has survival of the fittest, maybe this one cannot survive. Why would the author bring up this characteristic of this banana? Maybe it has a problem and it doesn’t react well with certain conditions. By concentrating all their efforts on the Cavendish, banana exporters have built a system that allows a tropical fruit grown thousands of kilometres away to appear on supermarket shelves in the UK for less than £1 per kilo – undercutting fruits like apples which are grown in dozens of varieties much closer to home. The author is reiterating why the banana industry is so reliant on the cavendish being a staple fruit and we can ship it all over the world pretty cheaply. “People want cheap bananas,” says Bebber. “The system is set up for a very uniform crop.” To put it bluntly – uniformity equals higher profits-per-plant for banana producers. So they’re bringing in Bebber here again and just saying we need a uniform crop and why that’s important. “They are addicted to Cavendish,” says Ploetz, today a 66-year-old professor at the University of Florida’s Tropical Research and Education Centre. Ploetz is brought back here, a researcher in Miami. And “they,” referring to banana producers, like the cavendish because they make a lot of money for them. It is this genetic uniformity that lays the foundation for an $8 billion-a-year export industry. The author is just giving a number to what that higher profit means. We got the big picture of each paragraph but it doesn’t seem like they’re making a big point. But you can probably anticipate that its reliability we depend on could be an issue if it’s interacting with pathogens. With MCAT passages they do cut off the passages and not the long ones – at most, 7-8 paragraphs. So you have to stick to what they say and not what you anticipate them to say. Only focus on what is actually on the screen, not what you think is going to be discussed in the future. Think about what is potentially going to be discussed in the future to aid your comprehension as you keep reading. Students could feel thrown off not knowing enough about the pathogen. Hence, you want to read the whole passage. There are some who just want to read the first paragraph and the last paragraph. There are also some that want to read the questions first before they get to the passage. Jack thinks these are mistakes students make as you have to read the entire passage to understand the author’s point of view. You can’t assume that one paragraph is more important than the other until you’ve read every paragraph. The first paragraph seems like they’re going to discuss the pathogen but they didn’t really discuss it in the future. The question may not be about TR4 or maybe they’ll have one question about the pathogen. And for most students, since they’ve read the first paragraph, they’ll depend on that and they’re going to answer a lot of the questions based on that. Hence, you shouldn’t worry about it more and understand the flow of the passage. The MCAT might bring up brand new scenarios that you will have never read. And when students read this, they could come up with their own conclusions based on what they know about genetics and not what the passage has said. They’ll do this to see if you can stick to the passage and if you stick to what they said and be able to pick something reasonable based on what they said. Otherwise, you will probably get the wrong answer and pick an answer beyond what’s talked about. So you see four different answers and the MCAT will ask which one is the best answer. The keyword here is “best.” But at this point, students could get lost. Rather, you would have to read the entire passage to get the question right. Know the big picture.